When thinking about the new year, many men want a new haircut as well. Beards are one of the hottest trends in recent times and in this article we’re going to showcase trending haircuts for men with beards. Whereas they might not have been as fashionable ten years ago, they have made a huge comeback. We want to acknowledge how full circle they have come by devoting an article to haircut and beard pairings. Like any look, a beard looks best with a haircut that is meant for it. The haircut suggestions below follow along with the latest hair trends. So let’s delve in deeply into what haircuts best bring out a beard. This long slicked back top heavy look with clipped sides is a bold choice for many men. 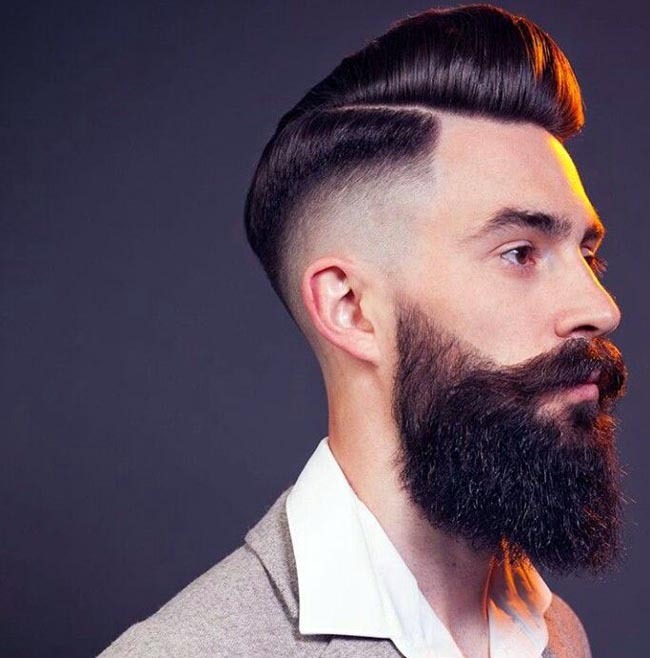 You can ensure that you get it right by trimming the sides of the head with the same clipper number that you trim the beard. This look is all about symmetry, so ask your stylist to use the same clipper number on the sides as your facial hair for the perfect balance. 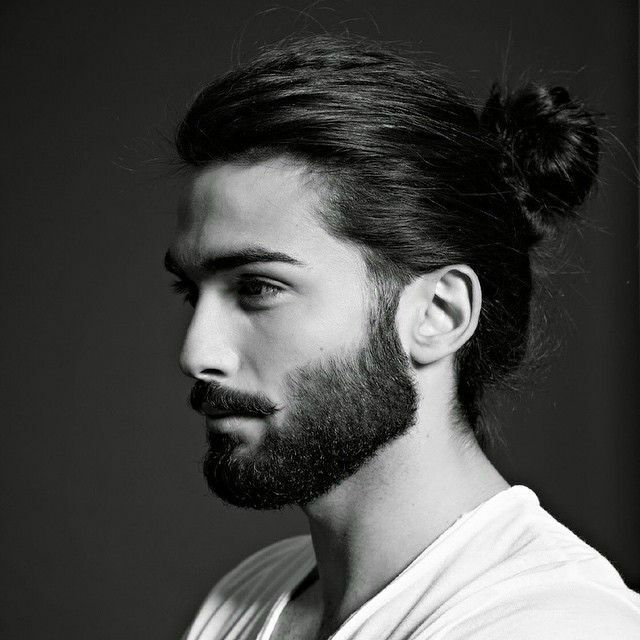 Buns are wonderful on men and that why its among the trending haircuts for men with beards. Although they require some growing out, it can be worth the effort. And as you grow out your hair, you can also grow out your beard. The bun looks best with more than a stubbly beard. The six o’clock shadow and a bun is not going to cut it. You can lay out your plans with a stylist so she can plan your transition seamlessly. She will need to ensure that your beard is long. A beard that can be trimmed with a number 8 clipper guard is perfect. This shaggy look is ultra hip. The bun is also a style that remains on the cutting edge. When it goes out of style, it might not be in such high demand. So you can ensure that you pull off this look on time by planning ahead at least a couple months. Hair tends to grow 1/4 inch to a 1/2 inch a month, so keep this in mind when you are committing to this pairing. You might be able to get away with having a Pompadour first before growing the extra length to make it top knot worthy. Of course this Bohemian look goes well with a beard. If you are ready for a change, add some layers to grown out hair. Men tend to look rugged and wild with this type of look. If you want the lumberjack element, then the beard will definitely add it. All types of beards look great with this shaggy do. You will find your happy medium, so don’t be afraid to experiment until you find the perfect combo. This haircut is extreme precision based styling. You will even find that some men add in a finger wave to make their hair stick just so. That’s dedication to the look. And if you want a nice beard with it, be prepared for some precision beard grooming as well. 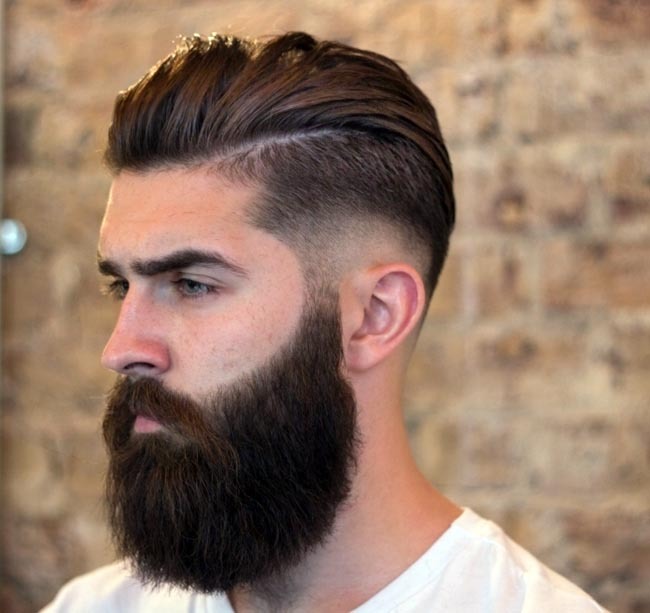 You cannot let the beard get too long with this cut. It will throw off the entire composition of the look. No one likes to have chaos going on in their facial region. So just get the grooming down meticulously and you will look like a Southern gentleman or just the man of the hour. A stylist will love doing this cut when you come in if you are nice enough to let her use a clipper guard 8 instead of using her fingers for the sides. She might even thank you by throwing in a few extra services like an eyebrow trim. You will find that you can pull off a debonair look with minimal fussing if you just keep that beard trimmed. 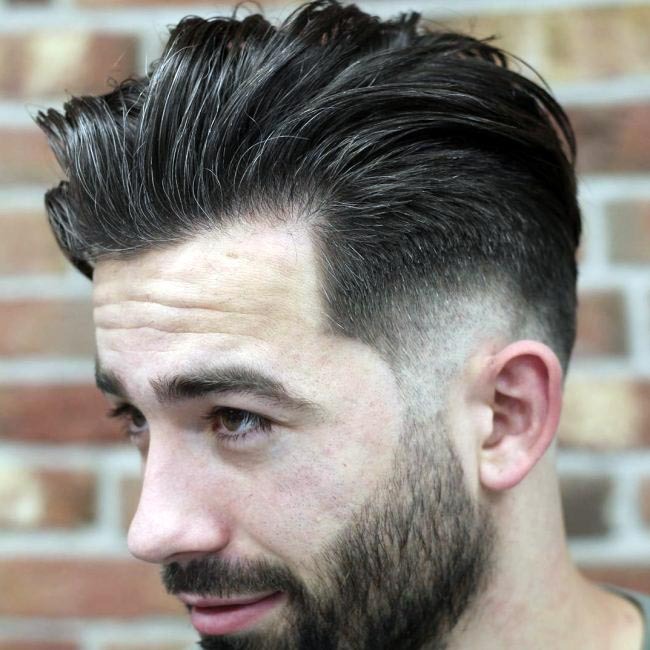 This look is more for shorter beards that can be trimmed with a 3 clipper guard. You will want to ensure that you don’t go full shag by visiting the stylist for monthly maintenance. Men are loving the new side part too. You might be part of that demographic. You can up the ante by growing out a nice sized beard. It adds to the ultra modern look that this provides. 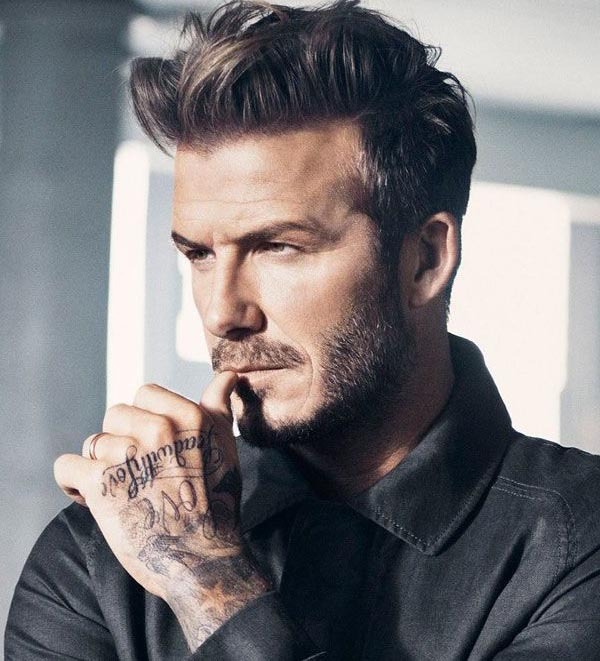 Virtually any length of a beard with look great with a side part. You should choose the length that you feel comfortable with. This will ensure that you are able to feel confident in the pairing. If you go for a beard that is too short or too long for you, in your view, then you might not feel as happy with the result in the end. 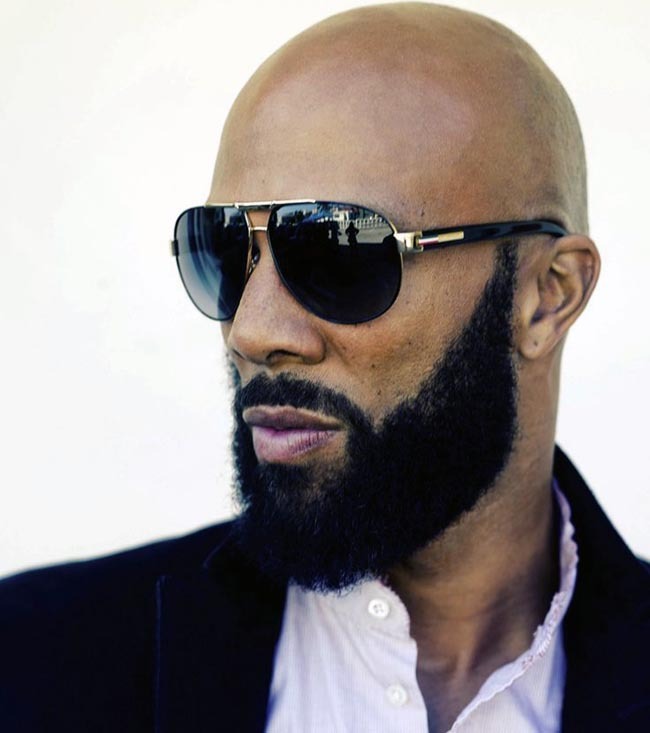 You might be grateful if you are going bald that you can still grow a beard. And you should enjoy that beard for as long as you feel like it. It is time to let go of mourning the hair on top of your head. Unlike your beard, it will not grow back. Many partners prefer a man with no hair. It gives a certain manliness and mystique to a guy that would maybe otherwise just not be as prominent. So express your personality with the type of beard that you’ve always wanted. Bald and beard can be a power look- just ask Walter from “Breaking Bad“. He shaved off his hair even though he had a full head of hair. It added to his sense of empowerment in being the boss of his own empire. Many men say that they don’t care about their hairstyles. But, in fact, a lot of men want to look presentable. And they want their look to say something about their lifestyle. These pairings all give a different approach to life. Some people really enjoy new styles, and you might be among them. It can make you feel like you are really evolving with the times. And a fresh look never hurt especially when it goes so well with that beard you love. So you might enjoy one of the above cuts in order to liven your day up. You might just find it becomes your new favorite hairstyle.